Whether it is Gucci’s recent Bloom campaign or Dries Van Noten’s breathtaking forest floor SS15 set, fashion is always looking to nature for inspiration – but does the industry care about the planet beyond pretty florals? That is a question the V&A’s next fashion exhibition – Fashioned from Nature – is asking. Tracing the complex relationship between fashion and the natural world from 1600 to now, the exhibition showcases examples that combine both beautiful design and ethical practices (it isn’t just hessian sack dresses as some might think). Featuring designs like Emma Watson’s 2016 Met Ball Calvin Klein dress – made entirely out of recycled plastic bottles – elsewhere there is work from brands like Christian Dior and Dries Van Noten. 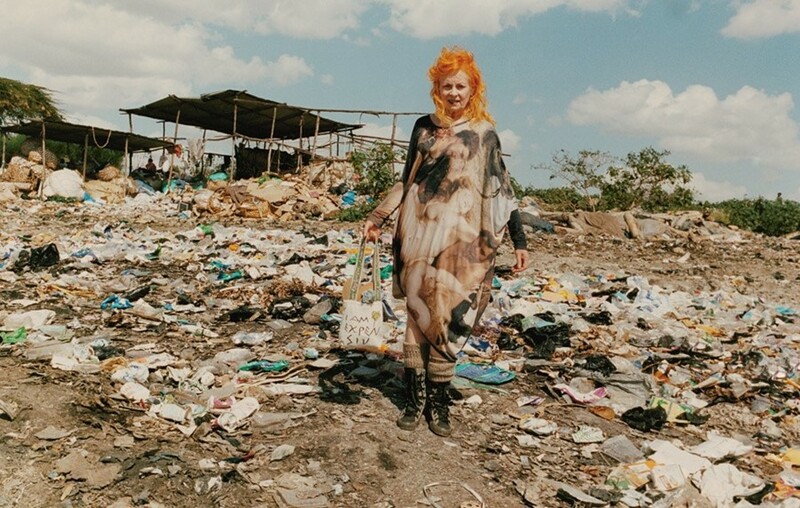 The exhibition also spotlights designers like Vivienne Westwood and protest groups like Fashion Revolution, who campaign to highlight the increasing environmental damage wrought by the textile industry. In addition to what designers should be doing to make a difference, controversial garments such as corsets made of whalebone are included to focus on what we need to move away from. Fashioned from Nature will run from April 21 2018 - November 27 2019 at the V&A.